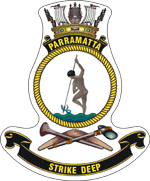 HMAS Parramatta III commissioned at Sydney on 4 July 1961 under the command of CMDR G.R. 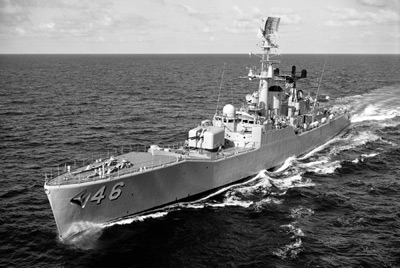 Griffiths DSC RAN, the first of six River Class Destroyer Escorts. She was decommissioned on 3 June 1977 for modernisation and refit at Williamstown Naval Dockyard, and on completion recommissioned on 26 August 1981 under the command of CMDR K.H. MacGowan RAN. Highlights of her second commission included a rare visit to the PeoplesRepublic of China in 1986 and participation in 1986 Royal Australian Navy 75th Anniversary Naval Review and the Bicentennial Naval Salute in 1988.